The Central Chevrolet way is showing that we are committed to providing the best automotive sales and service experience by being honest, trustworthy, friendly and respectful as we strive for excellence in all we do. Take the first step into a new future with a company that has built an extended family with their employees since 1962. We care about our employees and offer a vibrant work environment full of growth and longevity. 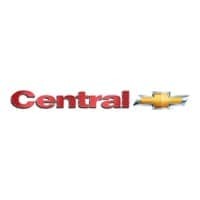 Job #1 Central Chevrolet is seeking an Automotive Sales Associate to add to our team to help serve our growing customer base. The Sales Associate is responsible for selling new or used vehicles at dealership gross profit, gross, volume and customer satisfaction standards. We offer Medical, Dental and Vision coverage with competitive rates. Devote yourself to guaranteeing customer satisfaction. Know and understand equity and values, and be able to explain depreciation to a customer. Review new products, features, accessories, etc. and their benefit to the customer. Demonstrate new/used vehicles including test drives. Perform pre-delivery inspection and road test before delivery to customer to ensure the customer understands the vehicle’s operation, warranty and paperwork. Understand the terminology of the business and keep abreast of technology changes. Represent the dealership well in personal behavior and comments. Know and understand company protection package and offer to all customers. You are a perfect fit for this position if you are a credible, professional and driven to be a successful individual. The right candidate needs to possess basic computer skills and have a good understanding of the latest technology. You would need to set and achieve goals, share our belief in providing excellent customer service and work well with a team. This job description reflects management’s assignment of essential functions; and nothing in this herein restricts management’s right to assign or reassign duties and responsibilities to this job at anytime. Central Chevrolet does not discriminate against race, ethnicity, religion or gender and is a drug free work environment.